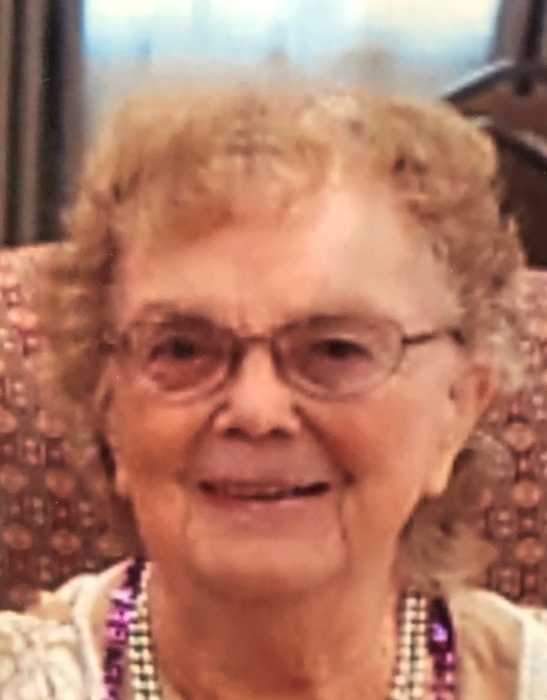 Willowdean H. "Willie" Judge, 91, of Sandusky, passed away peacefully early Thursday afternoon, November 29, 2018, surrounded by her family in the Stein Hospice Care Center, Sandusky. Born on October 10, 1927, in Sandusky, OH the daughter of Benjamin F. and Lillian M. (Ohlemacher) Brownell. In years past, Willie had worked at the Philco Company and then went on to work in the St. Mary's School Cafeteria for several years. She later retired from the Gaymont Nursing Home, in Norwalk, OH, where she had worked for many years. Over the years, Willie enjoyed following The Ohio State University Buckeyes football and the Cleveland Browns, but she especially loved watching the Cleveland Indians games as a true fan. She would watch every game from beginning to the end and then she would watch the whole game again later on Indians Replay. She will be remembered by her family for her crocheting of afghans and laprobes, which she actually made well over 100 of them, that she would donate to the local nursing homes for the residents. Willie also loved playing her Bingo and attending the luncheons at the Senior Center. She is survived by two daughters, Gayle Tremmel of Sandusky and Susan (Lance) Marchky of Kelleys Island, OH; four sons, Gregory "Chub" (Susan) Frankart, Jr. of Huron, Donald "Peanut" (Diane) Frankart of Sandusky, David "Crock" (Catherine) Frankart of Castalia and Denis "Denny" (Patricia) Frankart of Sandusky; 11 grandchildren and 12 great-grandchildren; and numerous nieces and nephews. Willie was preceded in death by her parents; her husband, William D. Judge (1992); four sisters, Marion Beese, Muriel Justi, Bettie Mae Likes and Clara Fleming; and two brothers, Rolland "Barney" and Fred "Junior" Brownell. Visitation will be held on Monday morning, December 3, 2018, from 9 am until time of funeral services at 10 am at the David F. Koch Funeral and Cremation Services, 520 Columbus Avenue, Sandusky. Deacon Jeff Claar officiating. Burial will be in Meadow Green Memorial Park, Huron, OH. Your memories and words of comfort may be shared with Willie's family at davidfkoch.com.